At Gravitas HR we have written three eBooks that you can download for free – Making Sense of HR, Making Sense of Employment Law, and Making Sense of Reward Management. 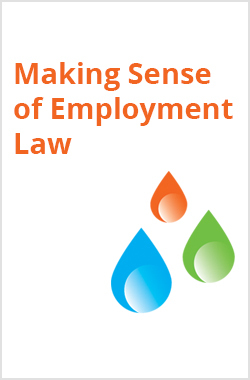 These eBooks are designed to introduce you to a range of HR matters and familiarise you with some of the terms you may have come across in relation to HR, employment law, and reward management. Our eBooks have been written by the Gravitas HR directors, and we have a wealth of experience in our field. From pension auto-enrolment to flexible employee benefits, to unfair dismissal, our eBooks are a great starting point if you’d like to find out more about the role of human resources and how outsourcing to a HR consultancy could benefit your business. Making Sense of HR covers topics such as recruitment, performance management and sickness management, while Making Sense of Employment Law covers the different types of dismissal as well as redundancy, tribunals, discrimination and more. Finally, Making Sense of Reward Management delves into the world of company benefits, salary and management grading. All three books are available to view and download below. Gravitas HR can advise you on any topic mentioned in our eBooks (and more), so if you are looking for HR advice in the Northampton area, please do get in touch on 01604 763 494.